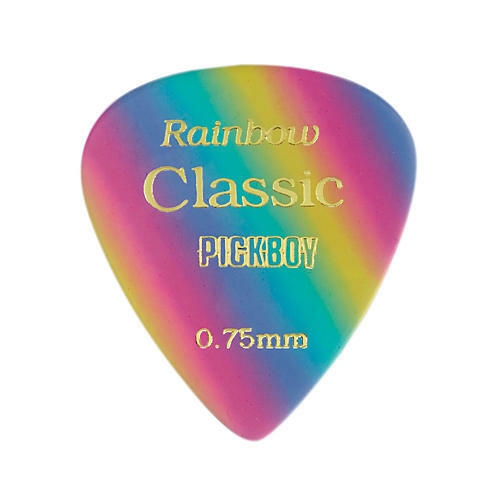 Pickboy's Vintage Celluloid Rainbow picks are made of celluloid because it is the material that most players prefer and most sounds like real tortoise shell. The celluloid gives you a warm tone and excellent response whether your picking or strumming. Pickboy uses this material in their Vintage Series feeling it is one of the best sounding materials out there. See pulldown menu for your choice of thickness.